Let’s be honest, no matter how much makeup we own, we always feel short of it. There’s eyeliner, lipsticks, blush, eye shadow, compact and the list just goes on. We do not stop buying what’s new in trend but de cluttering our makeup bags and storage is something we don’t do regularly. What’s more overwhelming is storing all the make up in a way that you can find it easily and still keep it neatly. It’s really not that hard if you follow the right way to organise your makeup. You don’t have to dish out a whole lot of money, you can even store something with essentials you can find in the house itself. 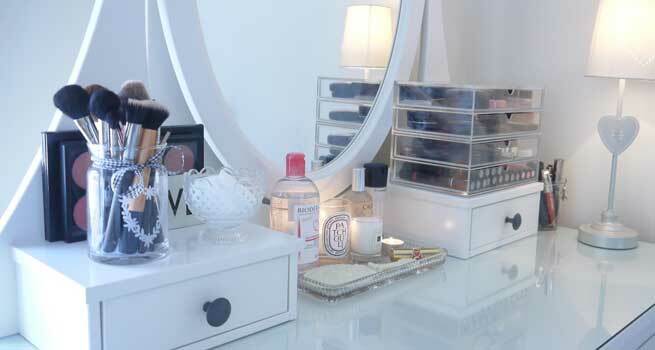 Read our simple, easy to follow guide on to how to organise your makeup. How to organise your makeup? 1. To organise anything you need to know what is to be organised and how much of it needs organising? The very first step to organising your makeup is gathering it all at one place and assessing it. 2. Segment everything by type. Put all your mascara’s at one place and your liners in another. Lipsticks can go in one pouch or box and if you want you can separate the lip glosses or keep them with your lipsticks. Basically, make space for everything by type and purpose. 3. De-cluttering, making space for the new and removing old is a must. Schedule yourself a reminder to clean your makeup storage spaces every fortnight. That way you won’t find it a tedious task for one single day in six months. 4. Have a place for everything and stick to it. If you carry a lip gloss from your storage, it is easy to comeback and make a new place for it in some other container. Don’t do that. If you have a case full of lipsticks and gloss, make sure you place back what you take right from where you took it. 5. Do not overflow one category of product. Remember, you are doing this organise them all neatly and that’s what you should do . If one drawer or case seems full of lipsticks and you have more to store, separate them by colour and stack them in two boxes. 7. All your scents do not have to be in the same place. Keep your regularly used scents right in front for use and the others can be kept at the back. That way, you will not mess up the storage every time you are looking for the perfume in a hurry. 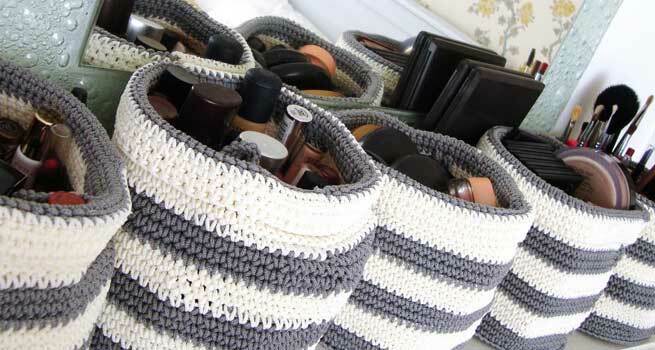 Did you like our list of tips on how to organise your makeup? Do you have any more tips you to share? Add it in the comments below.